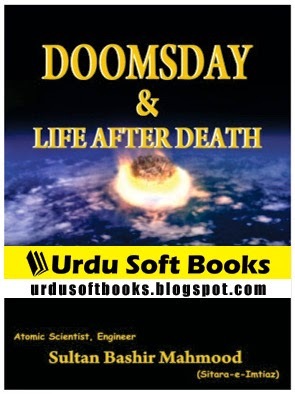 Download Free PDF Book "Doomsday And Life After Death" This book is written by Pakistan's famous Nuclear Scientist, Engineer "Sultan Bashiruddin Mahmood" (Sitara-e-Imtiaz). Writer already wrote more then 15 books on various scientific, spiritual, and Islamic topics. A systematic study of the complex realities of life-after-death and the Doomsday; And comprehensive analysis of the ultimate fate of mankind and of the Earth, the Solar System and the Universe in the light of the Holy Quran and the latest scientific findings; pointing out new horizons of thought in developing a clear understanding of our own reality, and of our future on earth, for the believers and the non-believers alike. You can download Urdu Books, PDF Books from each page of this blog using below download link.